The visit by the senior spook was so top secret that Prime Minister John Key repeatedly refused to name him. The four-star general sparked intrigue when his US army jet landed at the capital's airport late in November. Mr Key, the minister in charge of intelligence services, initially denied knowledge of the plane, and, despite pledging to find out more, later refused to reveal the identity of the visitor. Sources say General Alexander visits New Zealand up to four times a year, and Mr Key would have approved the visits. The shadowy NSA is the US equivalent of the Government Communications Security Bureau. It monitors and analyses foreign communications and protects US government cyber-systems. Let's put this into context. 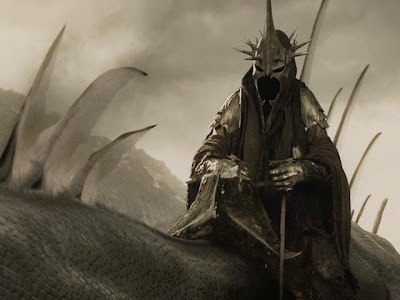 The Director of the bloody NSA visiting us is the equivalent of the Witch King of the Nazgul coming to the Shire for an Eye of Mordor convention. NZ's subservience to the US through the Echelon spy program run out of Canada, Australia, the UK and the US has more to do with why Kim Dotcom has been targeted here than any genuine concerns over copyright issues. Watching the outcome of the Dotcom case will be fascinating. Chief High Court judge Helen Winkelman is forcing the Government to reveal what the GCSB handed over to our intelligence chums, so finding out that the NSA is visiting us on a regular basis shouldn't surprise. Oh to be a bug on the wall in those meetings. Am I understanding you correctly? The Big Wig of America's Security, landed in a US army jet in a NZ airport, for a top-secret meeting? I recall at the time questions were first being raised that Mr Key said "They wouldn't arrive in a [noticeable] jet for a secret meeting". I wondered at the time wether this was a bit of an almost sarky message to American Security. My advice to Key is this is far too subtle. Clearly American Security is a force to be reckoned with, coming from a population of 200+million people, they haven't quite worked out that perhaps some events are more noticeable in places of small populations. My suggestion to them is next time Mr Alexander comes for his quarterly top secret meeting, that he arrives in a plane painted with "classified; TOP SECRET" painted in red across it. Yes that should work. Thanks for keeping us informed, Bomber.